Simpson Heating & Air is proud to serve the Dellroy community! 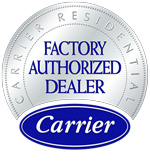 About Dellroy, OH - Happy to be your hometown Heating & Air Conditioning Contractor! Dellroy is a Carroll County, Ohio village with a population of only about 350 residents. This small community sits at the junction of State Routes 542 and 39, and it is only composed of about 0.20 square miles of total area. Dellroy is served by the Carrollton Exempted Village School District, and while an elementary school is located in the village, older students need to attend middle and high school in nearby Carrollton, Ohio. The weather in Dellroy is typical of a humid continental climate zone, and residents often enjoy outdoor activities during the hot and sunny summer months. However, winters are often cold and quite snowy. Due to the small size of this community, there are very few attractions located here. However, the Whispering Pines Bed and Breakfast is a popular destination for couples who are looking for a weekend getaway, as it is located in a peaceful setting along Atwood Lake. Residents and visitors don’t need to travel far to find other things to do, and nearby attractions include the McCook House Museum and Petersburg Marina in Carrollton.